Smile Makeover – Look and Feel Great! 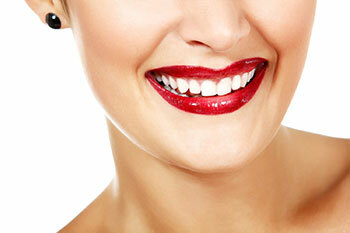 The team at Sterling Dental Clinic has huge experience in providing smile makeovers. A smile makeover often combines multiple problems and treatment that, when planned together, create an attractive and healthy smile. No matter how complex or simple the situation is, the Sterling team has the experience and ability to perform the required work to the highest standards. We have treated patients with a multitude of issues. In one case, a patient had to undergo different treatments to create her perfect smile – this involved gum repositioning, whitening, bridges, crowns, veneers, and even hygiene. The patient was not only delighted with the result that exceeded her aesthetic expectations, but she was also thankful that it also provided improved function and overall healthy teeth. This was a hugely challenging and rewarding case for a highly deserving and motivated patient! We offer all aspects of cosmetic dentistry ranging from high-quality ceramic crowns and bridge work to gold crowns, porcelain laminates, inlays and tooth-coloured fillings, and also a one hour in-office teeth whitening procedure for patients needing a quick fix. The latest is the full mouth rehabilitation with fixed dental implants. Like any cosmetic procedure, it’s hugely important that you feel confident and are properly educated about the treatment you will receive. It’s important for our team that final results exceed your expectations!